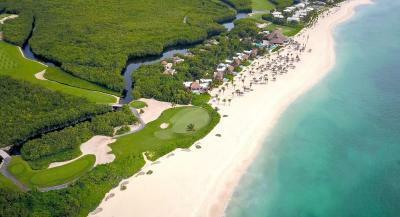 Lock in a great price for Fairmont Mayakoba - rated 9.3 by recent guests. 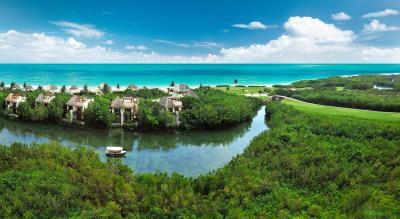 Excellent property in Mayakoba. Couldn’t fault the hotel. Didn’t want to leave! The service was above and beyond. Everyone that works there was super pleasant and greeted us and went out of their way to help us even when what we needed was not part of their normal duty. 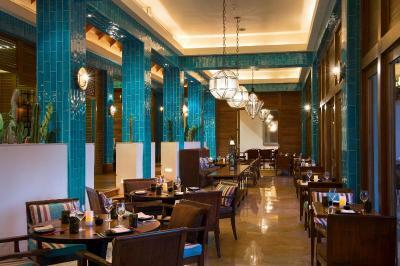 The food in all the restaurants was five-star quality across the board. The pools are beautiful and well maintained. The beach is is one of the best in the area and they have lots of different types of aquatic sports equipment for lending so if you're the more active type you need not worry about getting board on the beach. It was a great place for kids as well, I went with a toddler and a 5 year old who both had a grand time. 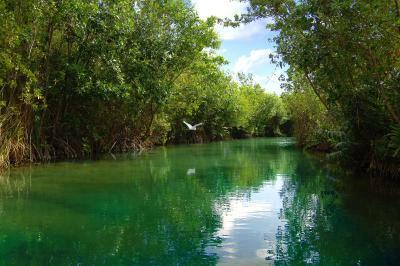 Everything looks really amazing, the sea, the mangrove, the nature surrounding you is breathtaking. The breakfast is so crazy, delicious ! The rooms are very comfortable and clean. Except expensive airport shuttle, almost excellent! 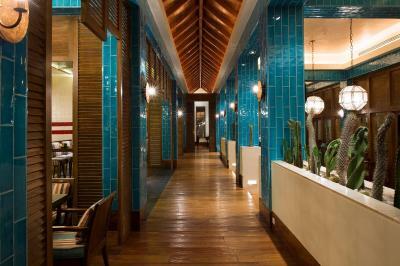 The resort is amazing, beach manglar rooms..... You feel relax and all the staff is really nice. 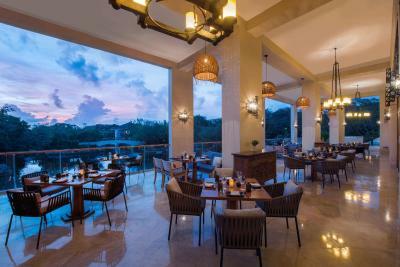 Everything is excellent at Fairmont Mayakoba. 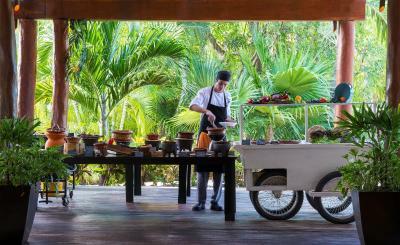 From the moment you arrive the incredibly well trained staff look after every detail. 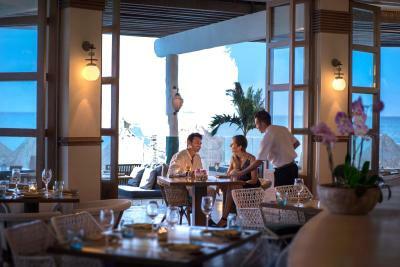 The rooms, restaurants and all facilities are impeccable and elegant . This is really one of the finest quality resorts that exists. 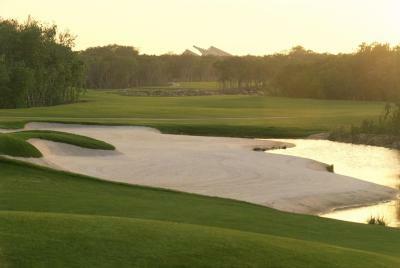 The staff at Fairmount Mayakoba are impeccably trained, incredibly professional and extremely welcoming. The facilities are excellent, there is no detail overlooked, it could not have been better. Delicious breakfast! Comfortable. Friendly staff. Great for families with kids. Good quality and service. 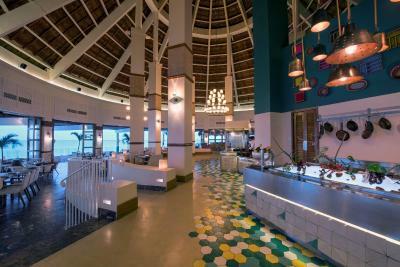 One of our top picks in Playa del Carmen.This luxury AAA Five Diamond Award winner resort in the Riviera Maya is made up of a series of low-rise buildings connected by waterways. 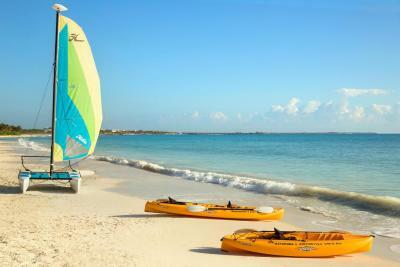 It is surrounded by a lush tropical forest and offers wonderful sea views. 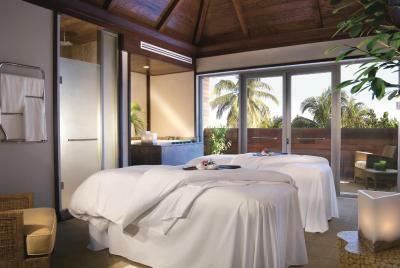 Fairmont Mayakoba’s 20,000 square foot Willow Stream Spa offers treetop treatment areas and a range of beauty and massage treatments based on the region’s local tradition and flora. 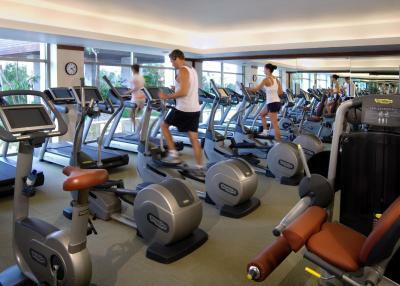 There is an additional charge for access to the fitness centre and spa area. 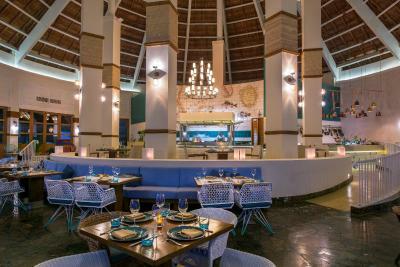 There are several on-site restaurants and bars at the resort, including a grill and seafood restaurant, a sushi bar and a swim-up bar. 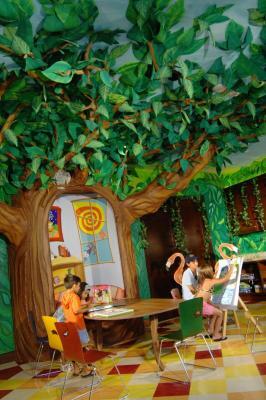 Discovery Club & Adventure Camp offer cultural and educational activities for kids 5 to 12 years old. El Camaleon Riviera Maya Golf Club, recognized by the Audubon Society, is suited for all skill levels and was designed by Greg Norman. 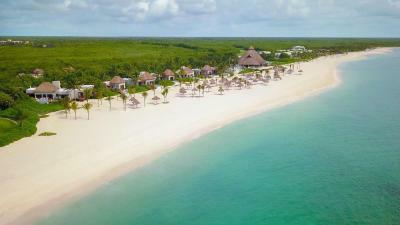 The resort is car-free and guests can access the different areas by boat, on foot following the well-marked nature trails, or by bicycle or staff-driven electric golf cart. 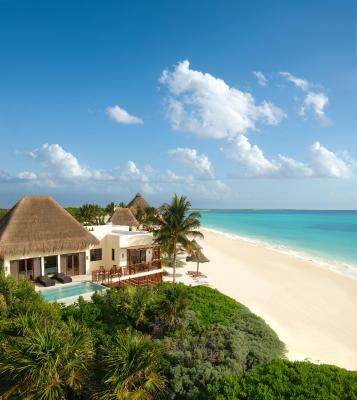 Located next to the 18-hole El Camaleón Golf Course, Mayakoba resort features 5 outdoor swimming pools and offers private access to Playa del Carmen beach. 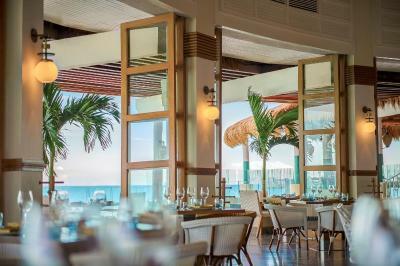 Cancún International Airport is about 45 minutes’ drive away and Playa del Carmen can be reached in about 15 minutes by car. 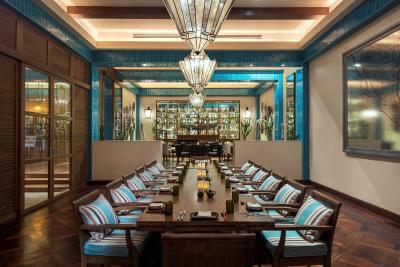 Fairmont Mayakoba has been welcoming Booking.com guests since 20 Feb 2012. 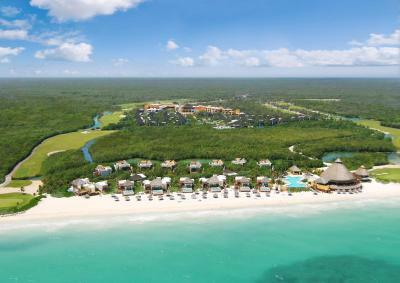 When would you like to stay at Fairmont Mayakoba? This spacious, air-conditioned room with 2 large double or 1 extra large double bed features floor-to-ceiling windows opening out onto a large terrace or balcony. The spa-style bathroom with bath tub and separate shower includes Miller Harris toiletries, a make-up mirror and a bathrobe and slippers. 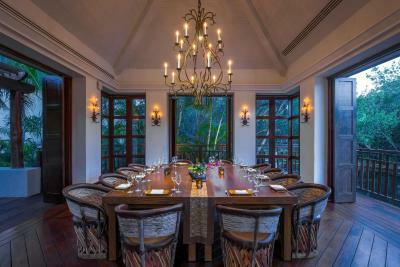 This spacious, air-conditioned room is located in a low-rise bamboo building near the main lobby. It features floor-to-ceiling windows opening out onto a large terrace or balcony. 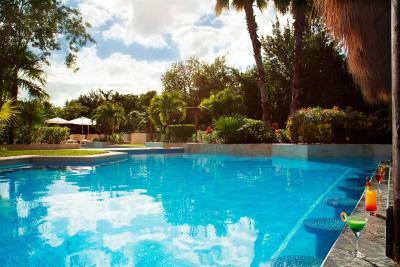 It offers views of the pool, water canals or tropical forest. The bathroom with bath tub and separate shower includes Miller Harris toiletries, a make-up mirror and a bathrobe and slippers. This spacious, air-conditioned room features floor-to-ceiling windows opening out onto a large terrace or balcony with views over the lagoon. The spa-style bathroom with bath tub and separate shower includes Miller Harris toiletries, a make-up mirror and a bathrobe and slippers. This suite features elegant high-ceilings and a wrap-around balcony overlooking the area's lagoons and canals. It has a large master bedroom and a separate seating area with a sofa bed. The private, four-piece marble bathroom includes a bathtub and a private shower stall. The seating area has a second bathroom. The suites come equipped with a flat-screen TV, a radio and a CD player. This spacious, air-conditioned room with 2 double beds features floor-to-ceiling windows opening out onto a large terrace or balcony. The spa-style bathroom with bath tub and separate shower includes Miller Harris toiletries, a make-up mirror and a bathrobe and slippers. This simple elegant rooms have generous windows that maximize the natural light and a private terrace or balcony. The spacious bathroom with marble accents features a luxurious soaking tub and private glassed shower stall. Amenities include a flat-screen TV, Bose wave radio and CD player, a working desk, a refreshment center as well as three dual-line telephones with voicemail. 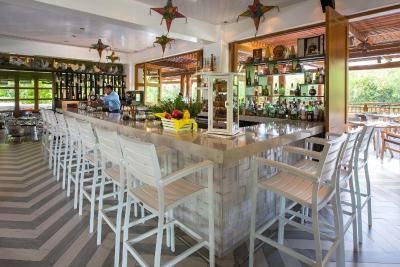 The Signature Casita Rooms are scattered throughout the tropical forest. 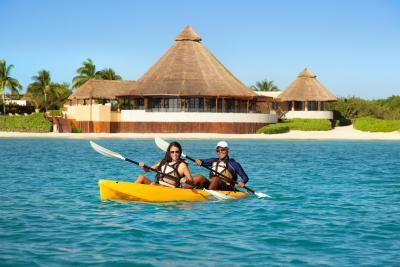 Each Casita has a private entrance and offers beautiful vistas of the resort's navigable water canals. The spacious spa-style bathroom with marble accents features a luxurious soaking tub and private glassed shower stall. Amenities include a flat-screen TV, Bose wave radio and CD player, a working desk, a refreshment center as well as three dual-line telephones with voicemail. 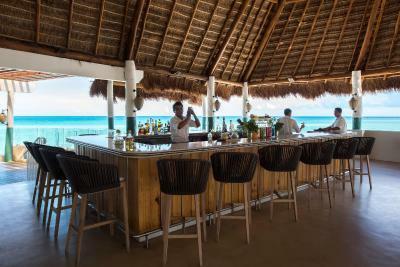 Situated in the private area of the resort in Riviera Maya, just steps from the Caribbean sea, the Beach Area Casita offers exclusive butler service. These rooms feature a spacious marble bathroom with a luxurious soaking tub and a private glassed shower stall. There is a private spacious balcony, a flat-screen TV, Bose wave radio and CD player, as well as three dual-line telephones with voicemail. 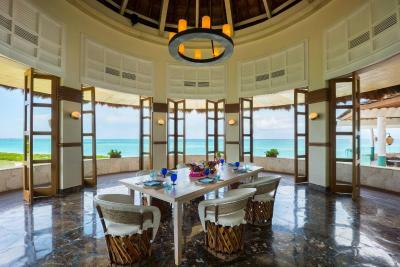 This two-bedroom oceanfront presidential suite leads to the beach via a private stairway. El Camaleon Presidential Suite is appointed with high ceilings. The complement of accommodations includes a master bedroom and family bedroom, separate living and dining rooms, and a four-piece marble bathroom with soaker tub and private glassed shower stall. This luxurious suite offers butler service. A second guest bathroom includes a shower stall. 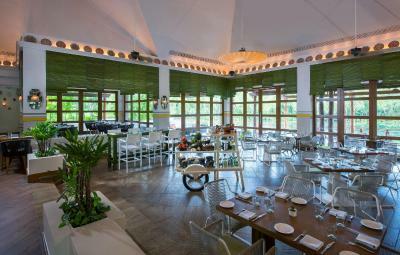 There is also an office area, meal preparation area and three flat screen televisions. Bose wave radio and CD player, as well as three dual-line telephones. 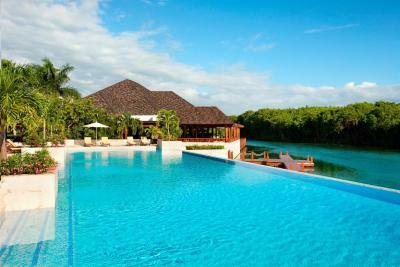 El Camaleon has its own private infinity pool and an oversized terrace. This suite has a separate living and dining room, a four-piece marble bathroom with a centerpiece deep soaker tub and private glassed shower stall. The Coral Specialty Suite features two flat-screen TV, Bose wave radio and CD player, as well as three dual-line telephones with voicemail. 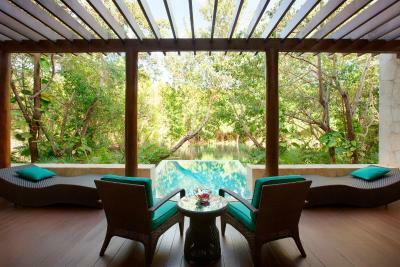 There is a private infinity pool on the terrace, overlooking the water canals and mangrove forest. This suite features a spacious and elegant master bedroom, accompanied by private living and dining rooms. A luxurious four-piece marble bathroom has as its centerpiece a deep soaker tub and private glassed shower stall. Adjoining the living room area is a convenient guest powder room, as well as a dedicated area for meal preparations and receptions, including a full size refrigerator. This premium accommodation is on its own island near the main pool area. 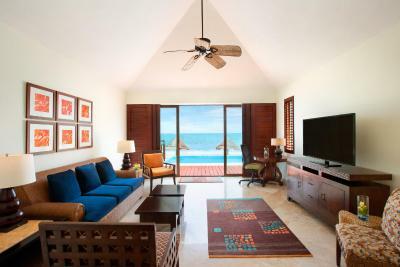 In combination with two Signature Casitas, it becomes a grand three-bedroom suite. A spacious and elegant master bedroom and a dining area are featured. A luxurious four-piece marble bathroom has as its centerpiece a deep soaker tub and private glassed shower stall. La Tortuga Presidential Suite is well-equipped, including 2 flat-screen TVs, Bose wave radio and CD player, as well as three dual-line telephones with voicemail. 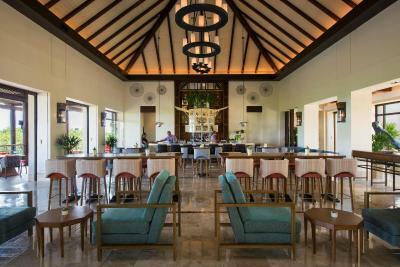 House rules Fairmont Mayakoba takes special requests - add in the next step! 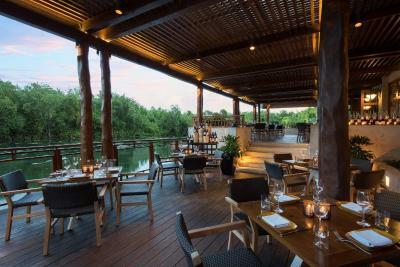 Fairmont Mayakoba accepts these cards and reserves the right to temporarily hold an amount prior to arrival. 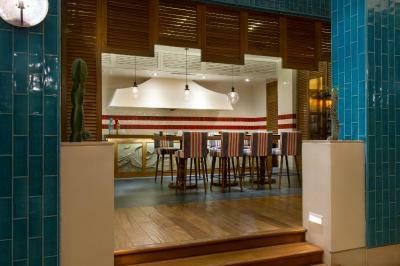 Please note that an additional fee of USD $22 per person per night is charged separately. WiFi is included once resort fee is paid. Offers cannot be combined with other promotions, spa discounts or special rates, and do not apply to group bookings, special events or tournaments. 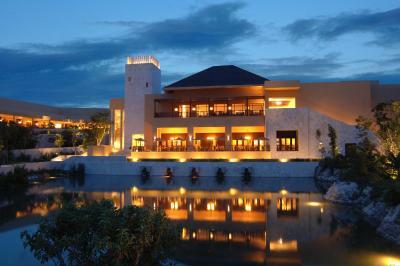 Please inform Fairmont Mayakoba in advance of your expected arrival time. You can use the Special Requests box when booking, or contact the property directly with the contact details provided in your confirmation. The included breakfast at La Laguna was quite devoid of flavor, I must say, so we opted to have breakfast at Las Brisas each morning, even though there was a small charge for it, as it was quite delicious and right by the beach. We ended up eating at Las Brisas quite a lot!I think the alcoholic cocktails that I had at the restaurants and bar pools could have been better, and the food at La Laguna and the hotel lobby restaurant was not good. The service at this place is fantastic, and the pool and beach were the most beautiful I've ever experienced. We really enjoyed everything, and this is a pricier but fantastic place to bring young children. They try to think of most things for your comfort. I really appreciated that they had an electric kettle and mosquito spray in the room (but I did get bitten on my face one night while sleeping...not too bad though because the mosquitoes there are not the worst). I really hope to come back next year!! One driver told us how one family had been celebrating Christmas and NYE there for many years, and that last year they blocked out 29 rooms. I think that's impressive and quite telling of how great this place is. The Mosquitos, were in the room because is a lot of vegetation around, and is not very well the control in this matter. 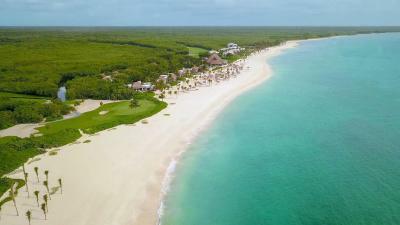 We loved golf at El Cameleon, snorkeling off property, cooking classes with hotel chefs and first rate service at pools and beach. We’ve stayed in hotels all over the world as a family, and our boys stated this is probably their top two places to have ever stayed. Best vacation ever....the staff is amazing, friendly, and kind. Well done...we’re planning to come back next year! While the effort to groom the beach is incredible, much better than 2 other locations we were at the same week; the amount of seaweed made the beach experience a little less than perfect. We enjoyed all the restaurant we ate at but would have liked the option for some sort of gourmet dining experience fitting for a resort of this level. Property is outstanding. We loved the way we were in the natural environment both outside and in our room. Staff is top shelf, all very professional and friendly. 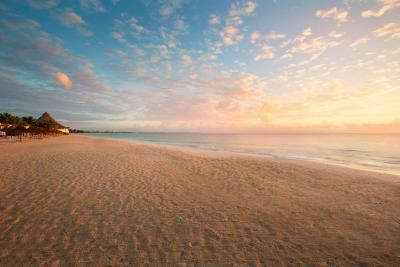 The amount of effort to maintain the rooms, main property and beaches is remarkable. Fully enjoyed the beach-side services and restaurants. Easy to walk around and take a cart when needed. The dining options were all enjoyable. The beach had a lot of seaweed and constant cleaning up process, possibly the time of year. 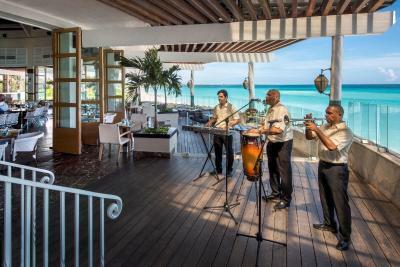 Beautiful hotel and amazing staff. 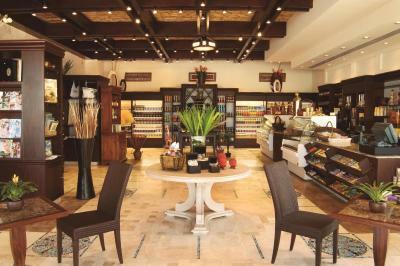 Overall food is pricey, but as long as quality is good is OK. Recommend a special price for Children's buffets. Lunch at Las Brisas patio/deck could stand improvement. Food was not tasting. Walking directions are not clear, need improvement. Maps need improvement. Dinner Menu at the Laguna was not good. Learned about pool area barbecue too late to try it. Needs to be advertised when schedulled. Breakfast buffet menu was excellent and very convenient at the Laguna. Did not experience other locations for breakfast. 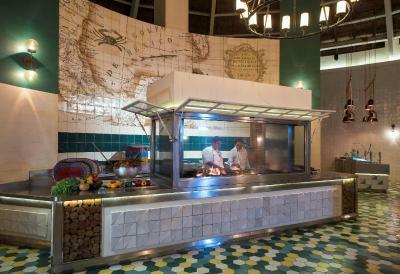 Dinner Buffet at the Laguna Saturday night was out of this world. Dinner at Las Brisas was excellent! Transportation within the complex was excellent. Everything!!! I would go back anytime! We enjoyed the hotel very much. 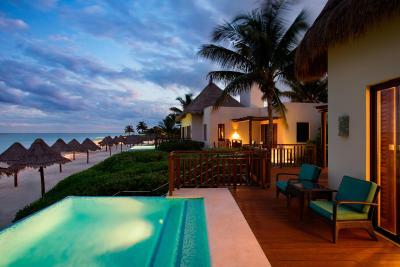 The rooms are great, pools and beach are marvelous. 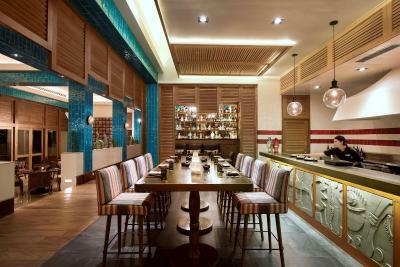 Restaurants at Fairmont are kind of boring and poor in terms of atmosphere, design. Very regular and a bit old. Beach beds feel a bit old. Overall Fairmont mostly fits families with kids. The air in rooms is wet and its tricky with AC - it gets either wet (when you increase temperature), either cold (if you decrease it), but still the atmosphere of hotel is amazing. Feels like home. Feels more American than Mexican. Food is absolutely terrible. We had a flood in our room and our clothes got flooded. It took multiple phone calls to get our clothes back with little follow up by the staff. It was only when I finally talked to the manager when checking out that anything happened.